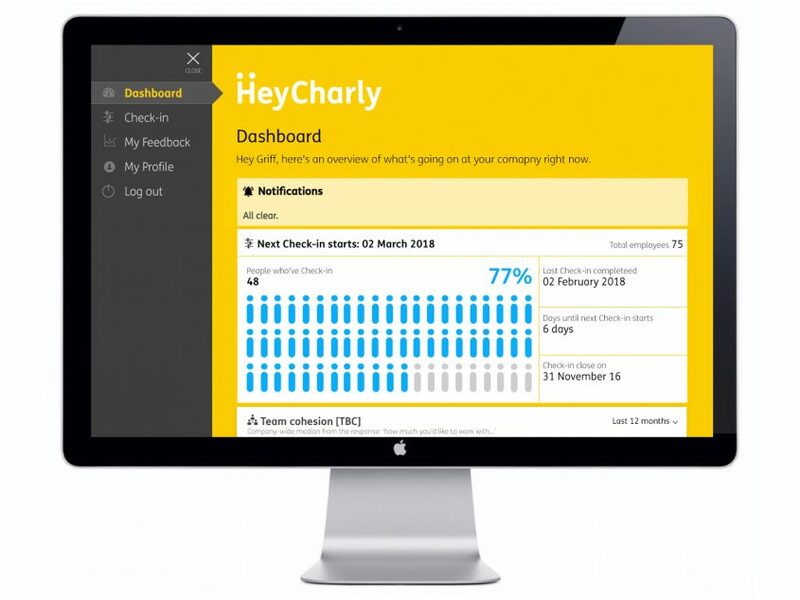 HeyCharly does away with the dull and difficult and gets down to the essentials of good performance management. It gives managers a rich, rounded and up-to-date understanding of exactly how people are feeling – and how to improve the job satisfaction and wellbeing of individuals within a team. In most people’s minds, HR is synonymous with strip lit offices and reams of paperwork. But that doesn’t have to be the case. 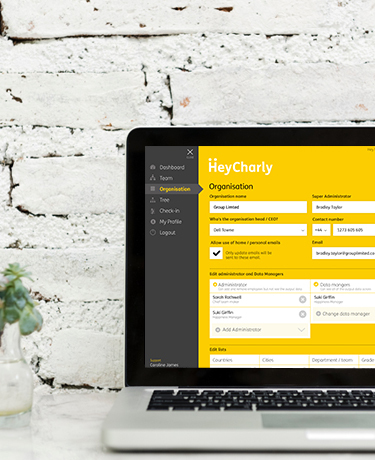 HeyCharly was on a mission to create a digital tool to make HR enjoyable – and at its core, more human. Its founder wanted to begin with a minimal viable product (MVP). There wasn’t the time or budget to undertake a full branding exercise, so with the help of our strategy partner Emmie Spencer we devised a workshop to get to the heart of the new brand, stripping back our usual process to the bare essentials. 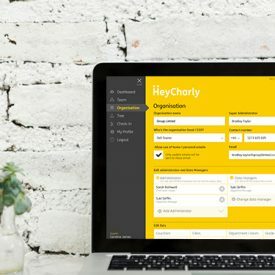 During the workshop we quickly reached a creative proposition and dived into the product positioning and tone of voice, keeping HeyCharly’s target users front of mind all the time. Together we mulled over the why and how of HeyCharly, as well as the feelings we wanted the product to evoke. We also explored the user needs and requirements for the MPV in order to test the founder’s thinking and sense check the progress that had been made on the product to date. 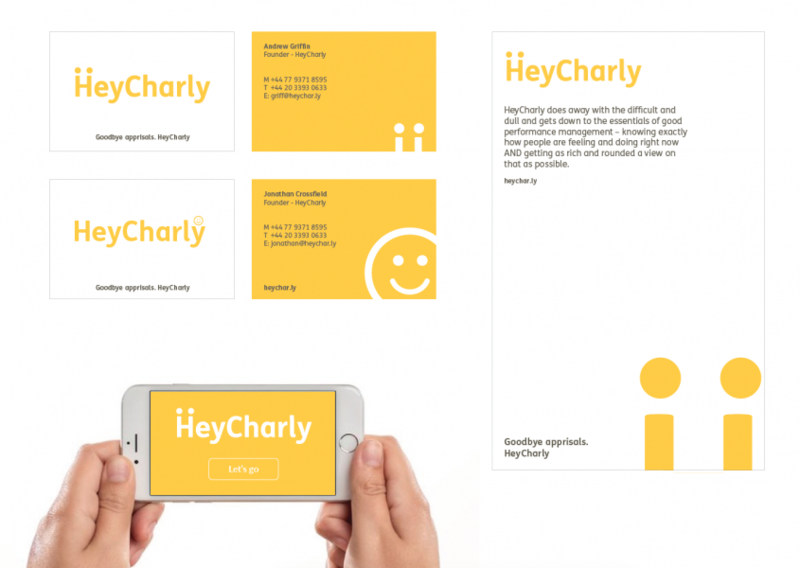 The outputs of the workshop formed the basis of a brand positioning and set of user personas for HeyCharly. We used these to create a platform which remained rigid as the MPV specifications and requirements changed and evolved. User testing is one of our favourite parts of any design and development process. It’s often overlooked, but is incredibly valuable and important to the success of the project as a whole. 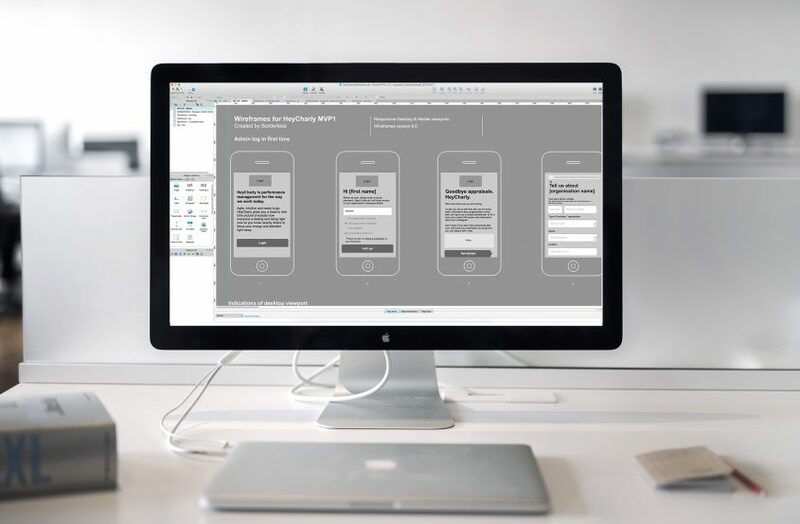 The process of creating an MPV is iterative by nature, so we undertook user testing sessions at several points through the project lifecycle, from ideas to wireframes to the beta solution. At wireframe stage we conducted some remote walk-through sessions. 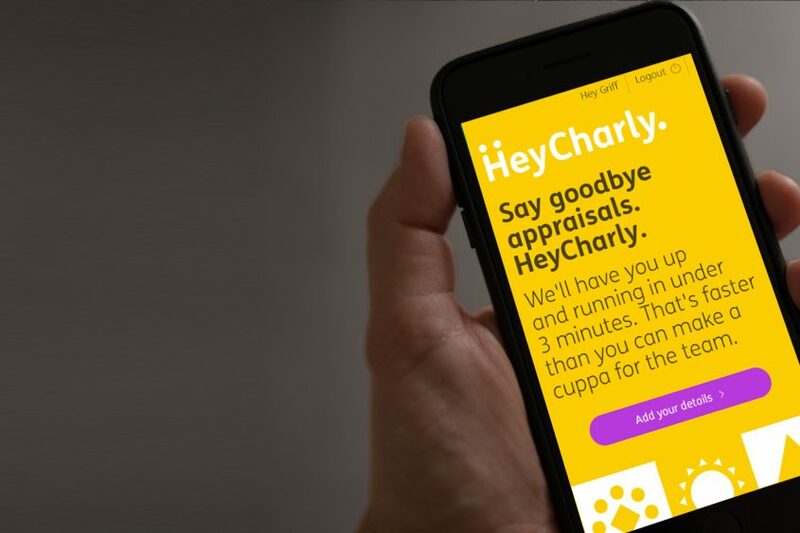 As well as exploring their needs and the way they responded to tasks, we took the opportunity to ask participants about the value proposition we’d created for HeyCharly. Once we’d built the MPV we undertook a series of task based face-to-face interviews in which we recorded, evidenced and documented user feedback, problems and recovery using Lookback. Following the tasks we asked our participants how they’d found using the MPV and how they might seek to use or improve it in the future, as well as how they felt about the brand as a whole. We liked: Helping to shape the brand and user experience at such a pivotal developmental stage for this inspirational start-up.